To ensure the safety, security and well being of the children in our care, Noah’s Ark has procedures and standards in place to cover pick-up and drop-off, visitors, equipment, furniture safety, and more. We have very specific procedures and requirements concerning cleanliness and preventing the spread of germs. These procedures are periodically reviewed and updated to make certain they reflect the most current safety and security technology and practices. We take very seriously the well-being of your child and work hard to provide an environment that is as healthy as possible. Our belief is that you can never be too careful when caring for children. 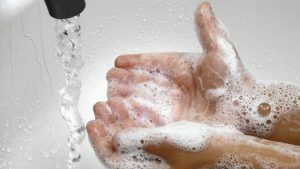 Hand washing is the single most effective practice in preventing the spread of germs. Teachers are required to wash their own hands, as well as the hands of a child using described procedures, before and/or after engaging in a thorough list of activities. Noah’s Ark staff is directed to thoroughly clean surfaces that children come in close contact with, using germ killing disinfectant and water. Toys that children put into their mouths are also required to be cleaned and disinfected between uses. Our classrooms are designed with the safety and security of each child in mind. From room layout to specifically selected equipment, toys and furniture, our belief is that you can never be too careful when caring for children. Regular training and safety drills, fire drills, a posted emergency plan, emergency exits, fire extinguishers and interior electronic door locks ensure your child’s safety. In addition, only those with the combination to the coded keypad security system can gain access to the centers. Each child must be checked in and out in our parent log book every day. We enforce our policy by assigning PIN numbers or key cards to parents and others who are authorized to pick up the child. Your Noah’s Ark director keeps an updated file of names, addresses and phone numbers of people authorized to pick up children in case of an emergency. No child is released to an adult without proper authorization. Ever. Each adult working at Noah’s Ark must provide evidence of good health with a signed physical examination, tuberculosis test, and other state-mandated requirements. All medical records are periodically updated. Staff members do not work if they are ill. As for the children, we maintain a complete written record for each child in our care. Pertinent health histories are also required. All health records, immunization records and emergency contacts are kept up to date and easily accessible in case of emergency. Noah’s Ark takes very seriously the allergy potential of nuts among young children. That is why Noah’s Ark Centers is a Peanut Free-Tree Nut Free Environment. School staff is trained in Basic First Aid and CPR, and participate in periodic refresher courses. An in depth Health Emergency Response Plan is in place. An Emergency Disaster Response Plan is in place. Families are encouraged to participate in conversation with school staff regarding school safety in order to determine what additional precautions may seem appropriate for their particular situation. As presented earlier, thoroughness can’t eliminate risks entirely, but with attention to detail, extra effort and an open communication with parents, your time here at Noah’s Ark Preschool will be both a happy and a healthy experience.